When the going gets tough the tough get going is the adage used to describe strong people rising to the occasion when situations are difficult. Last week Louisiana Governor Bobby Jindal and Alaska Governor Sarah Palin both showed their moxie during the two highest profile storms in America – Hurricane Gustav and the Presidential Nomination Storm. Governor Bobby Jindal proved his leadership skills when the path of Hurricane Gustav targeted the state of Louisiana. Jindal rallied the troops from Louisiana to Washington to provide detailed plans and powerful communication to residents of our great state. For the first time in our colorful political history, we have a governor that took the bull by the horns and met the needs of the people over himself. A weathered-looking Jindal stood before media taking personal responsibility as commander-in-chief and responded quickly and appropriately to provide manpower, services and the tools necessary to meet the needs of the voters. Jindal answered the call. We are grateful. Governor Sarah Palin also made political history last week as she accepted the nomination for vice president of the United States as Senator John McCain’s presidential running. Palin spoke eloquently and powerfully at the Republican National Convention taking no prisoners. No pun intended. 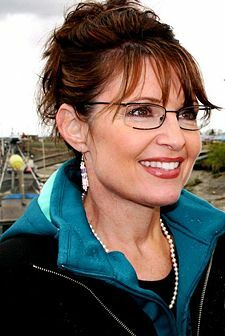 Vice presidential nominee Palin cited her past accomplishments of placing her state government on the side of the people by taking on special interests and the good ole’ boys network – groups that voters abhor. Smaller government is what Palin is about. Palin answered the call. Again, we are grateful. Jindal and Palin have much in common. Both are christian conservatives, target wasteful spending, believe in lower taxes, supports higher education, seeks improvements in transportation, fully supports law enforcement and tout public safety as a major priority. Maverick politicians, Palin and Jindal, join the ranks of Republican presidential hopeful Senator John McCain for real change. In politics talk is cheap, promises are the order of the day – but with these proven leaders at the helm of our state and country, we truly have hope in an improved economy and leadership that will stand against the power brokers and bring positive change in the lives of Americans.